Experience the most beautiful berry display in the plant kingdom with this new Viburnum. 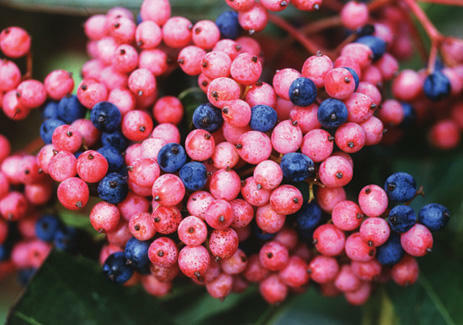 It delivers loads of breathtaking berries that transform from green to shades of vivid pink and blue. 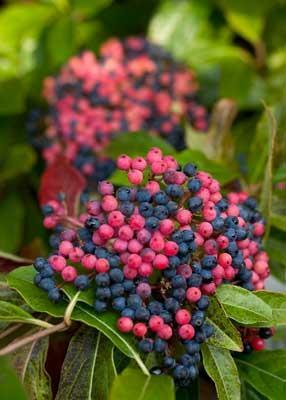 A great companion pollinator for 'Winterthur' although Brandywine has good berry production even without another pollinator nearby. 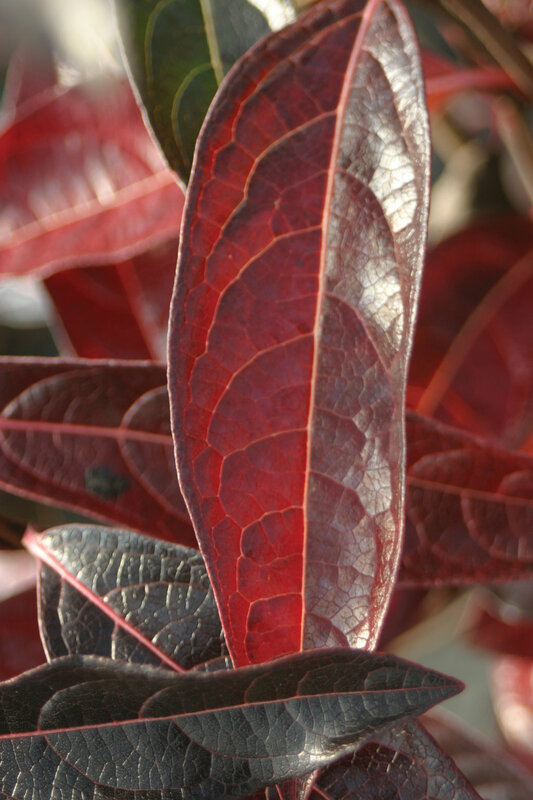 Showy glossy leaves change to incredible dark maroon-red in autumn. 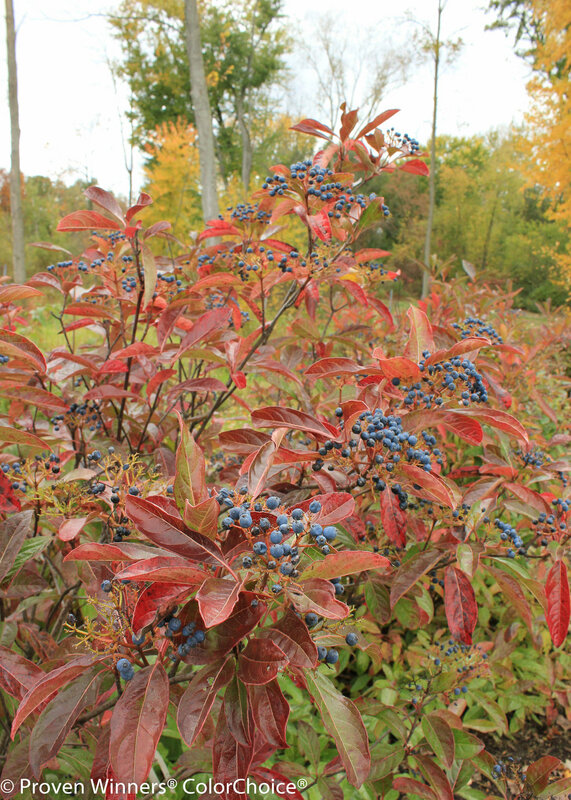 Hedges, specimens, late fall color. 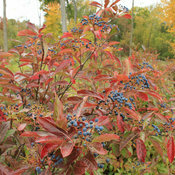 Prune after flowering, but leave flower clusters for fall berry production. Prefers moist, well drained loose soil. Apply a controlled release fertilizer in spring. 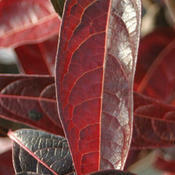 Holds it's beautiful red leaves much longer than a burning bush!!! I am disappointed with this shrub. Some branches lie down on the ground. No birds have been attracted. Our mockingbirds eat from our Ilex Verticillata but not this shrub. Really beautiful. 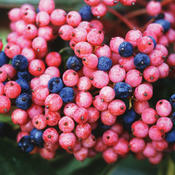 I am concerned about prunning, for berries are heavy enough to requre staking branches. 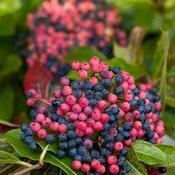 I have had this cultivar in my garden and have been most impressed with it. I like its large glossy green leaves. It really stands out as unique. The fruit are really noticible and require no pollinator. They apper as flowers in distance. Performs beautifully with little maintenance. Not affected by extreme heat or drought.